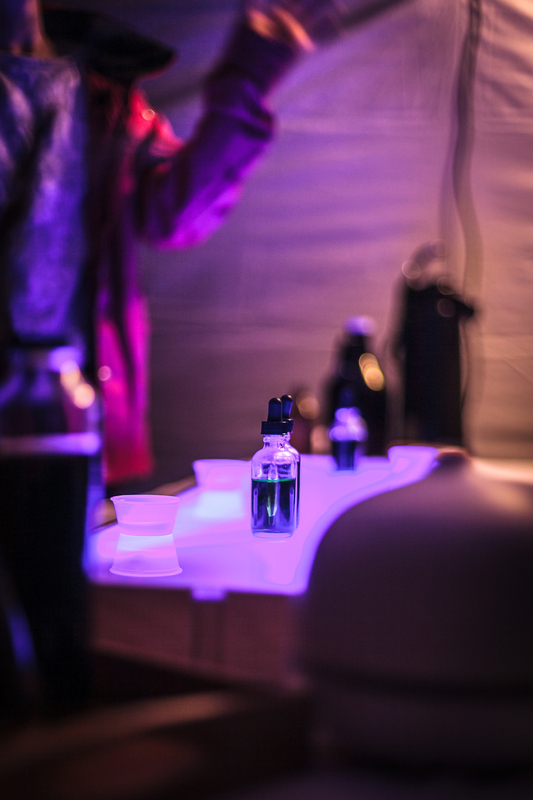 A unique multi-sensory drink experience, Bloom was one element added to the Sakura Illuminations event this year at the Vancouver Cherry Blossom Festival. 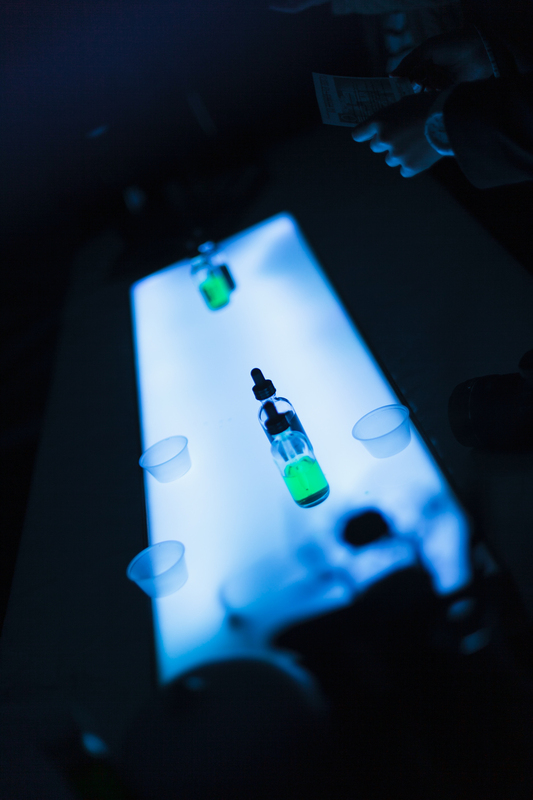 The intention, a chance for guests to see how their sense of taste is influenced. how taste perception is shaped by the bloom of colours on the blossoms as it floods your surroundings at the Sakura Illuminations. Admission included a 80 presold tickets who booked online. Visuals have been deemed the superior sense, above taste & smell. I invite you to join me in a taste journey through the blooms of the cherry blossoms. the explanation can be a consequence of marketing or an instinct that we associate red with sweetness in ripe fruit and green with tart unripe fruit. Food and drink show a strong influence on people’s flavour identification. O5 tea artfully created a Hei Cha kombucha. Its base, a Hei Cha from the Anhua County, China. It was cold-brewed overnight, strained, then fermented with cane sugar and cultured for 30 days. The tea possessed a darker full-bodied tangibility that was slightly smokey. The selection of tea was curated to pair sweet fruit with tartness.